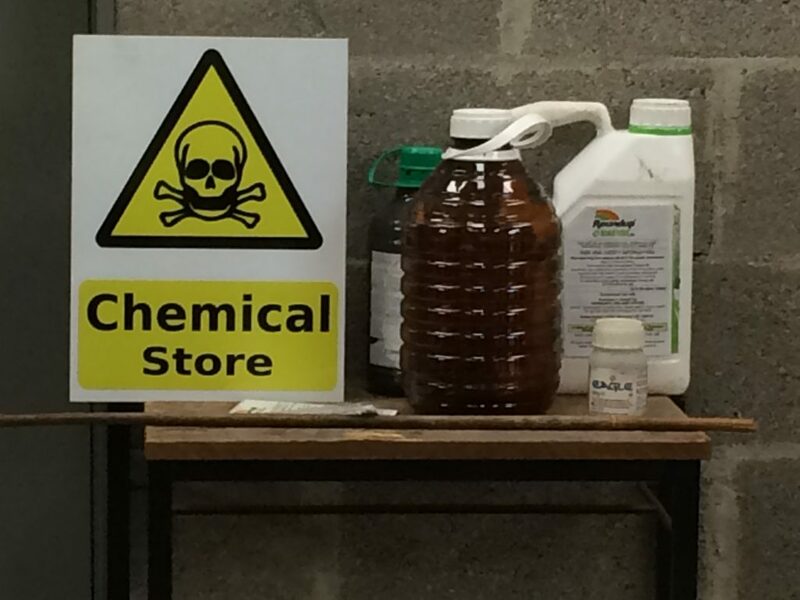 Nitrile gloves should be the first thing a farmer puts on before he/she starts using chemicals or a knapsack, John Joe Lohan, Technical and Health and Safety Officer at Ballyhaise College said. Having cuts on your hands is not a good idea, he said, as they could get infected. Coveralls should be worn as there could be splatter and this will ensure that no pesticides get on you, he said. Steel toe-capped wellingtons with aluminium plates should be worn, he also advised. The label of the chemical container will tell you which type of mask to wear when spreading the chemical. He stressed to read the label on the chemicals and any warnings, hazards, risk and safety phrases should be taken note of. Check the water volume per hectare and the dose rates, Teagasc advises. When it comes to the knapsack, Lohan said that the filter and valve should be in good working order and that the straps and hoses are also in good condition. He also said to take into account the weather conditions before spraying. In order to use a knapsack or a boom sprayer, you must now become a registered user of pesticides with the Department of Agriculture. 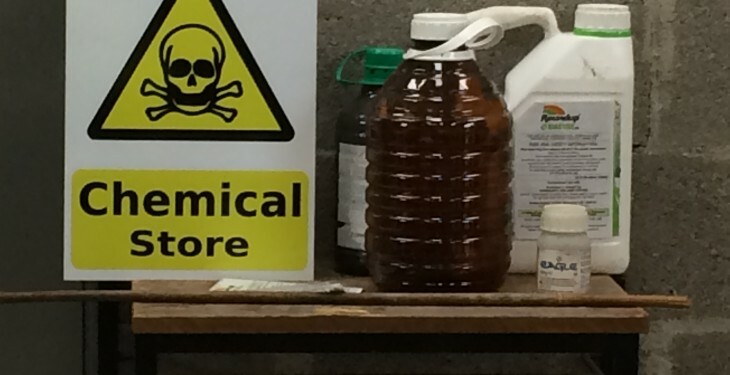 Hazard elimination/reduction – Do you need to spray? PPE selection, coverall, gloves, face-shield, boots, respirator.